The 2017 Honda CR-V equipped with available LED headlights and Honda Sensing safety technologies has earned a Top Safety Pick+ rating from the Insurance Institute for Highway Safety. 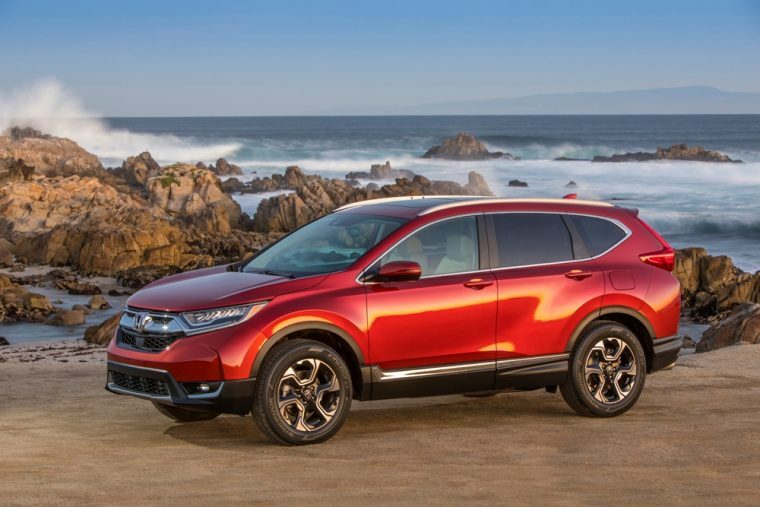 The Honda Sensing suite of safety and driver assistance technologies comes standard on EX and higher trims, and earned the CR-V a “Superior” rating for frontal crash prevention. The best-selling SUV also earned a top rating of “Good” in five IIHS crash test modes, including the stringent small overlap frontal crash test, as well as an “acceptable” rating for its headlights. Thanks to the CR-V’s high marks, Honda is now among the leaders of the automotive industry, with four Top Safety Pick+ 2017 models and three Top Safety Pick vehicles. The four 2017 Top Safety Pick+ automobiles include the Honda CR-V with available Honda Sensing and LED headlights, the Ridgeline with available Honda Sensing and LED headlights, the Accord Sedan with available Honda Sensing and projector beam halogen headlights, and the Pilot with available Honda Sensing and LED headlights. The three 2017 Honda Top Safety Pick models include the Accord Coupe with available Honda Sensing, the Civic Coupe with available Honda Sensing, and the Civic Sedan with available Honda Sensing.